Always a nice way to start the month - a mention in a magazine. 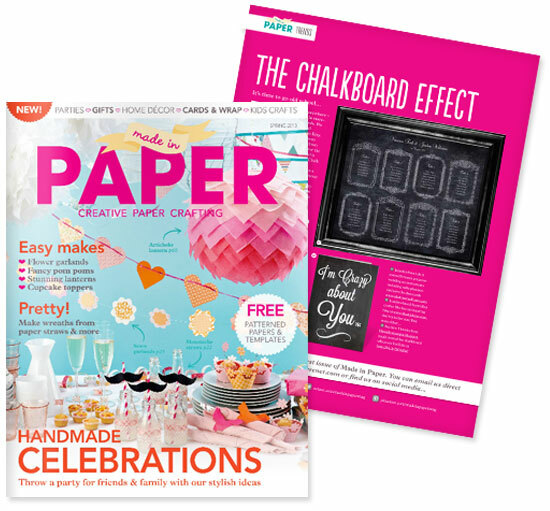 UK publication Made In Paper, featured our chalkboard frame seating chart in their Spring issue. Have to say it looks pretty fab on that hot pink background! Thanks guys.